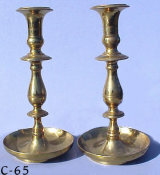 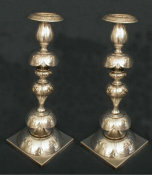 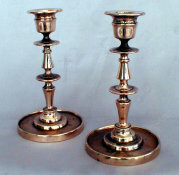 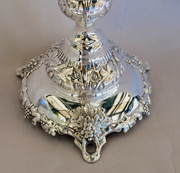 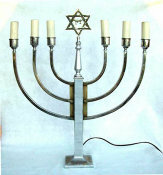 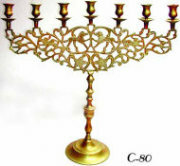 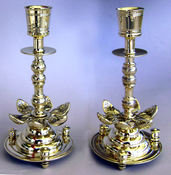 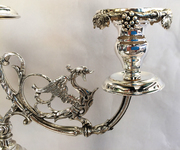 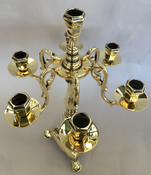 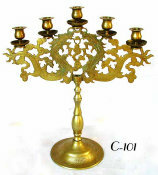 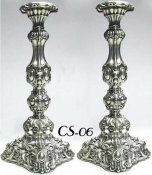 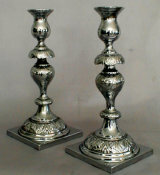 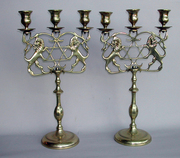 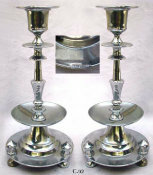 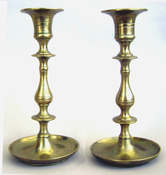 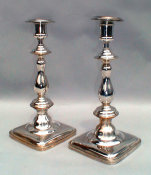 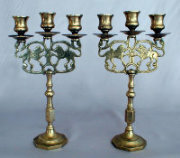 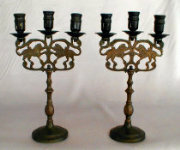 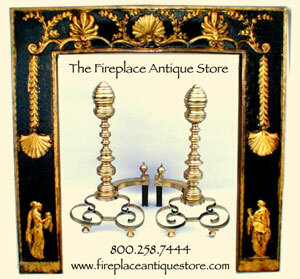 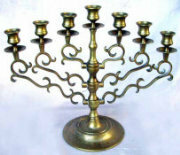 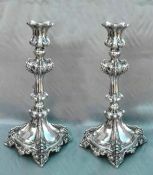 Beautiful Three Light Antique Sabbath Candelabra. 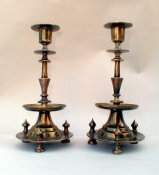 Honey/green patina. 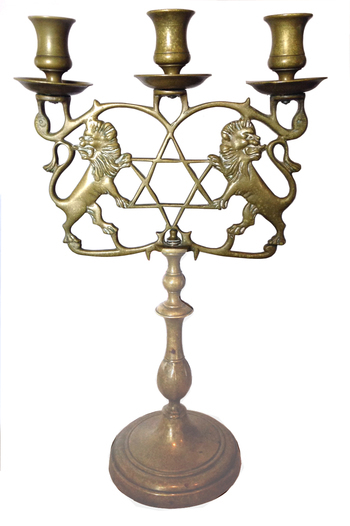 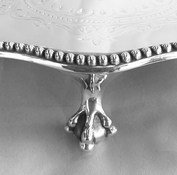 Fine detail in lions, with hand turned screws, supporting vase form sconces, and drip pans. 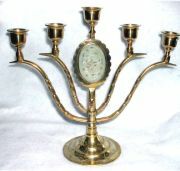 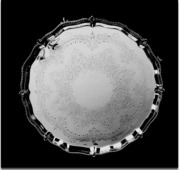 Late 19th Century, Polish. 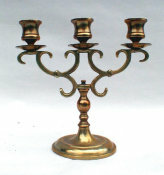 Multifaceted stem rises from a round, slightly domed base with simple banding.